Buy Directly from Just Us Books, Inc.
3 Time AALBC.com Bestselling Book! Parent Company: Just Us Books, Inc.
“The Afro-Bets series by Cheryl Willis Hudson and husband Wade Hudson. This series is educational and shows the creativity that can go into teaching our children about their numbers and letters.”—Rosheena Beek, author Mommy Says! The Afro-Bets Kids present the numbers 1 through 10! Langston, Nandi, Glo, Stef, Tura, and Robo show you how to learn your numbers. Watch them twist their bodies into the shapes of the numbers. 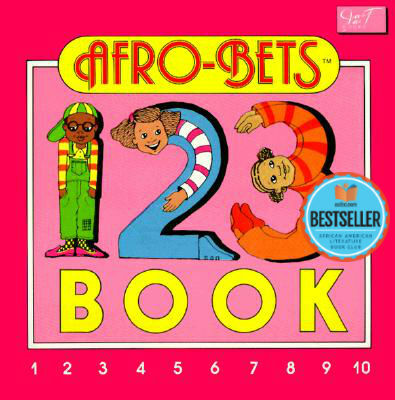 Tell us what do you think about Afro-Bets 1-2-3 Book.